Valentine Messages PowerPoint template with thematic background and themes (slides and formatted text). On the background of the template depicted wonderful love hearts, as if sending messages. 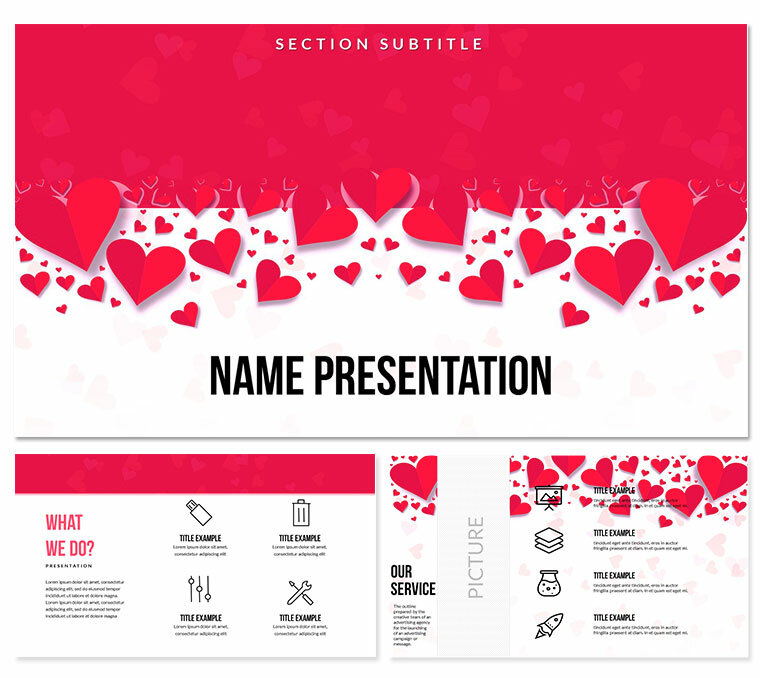 A ready-to-use template will help you to quickly and professionally arrange an existing one or create a new presentation, for a Happy Valentine's Day greeting.